Note: 9/18/15 All of these translations have been updated to reflect reader comments & corrections below. Feel free to tell us what you call your pointe shoes in your country. Actually the correct word in swedish for point shoes is “Tåskor” which litteraly means “toe shoes”. 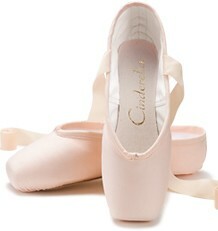 The correct word for pointe shoes in french is : pointes or chausson de pointes. Great info.Thank you. Only 10 more countries to go. Where’s Africa and Greece? both corrections are for sure ! In brazilian portuguese it´s ok, sapatilhas de ponta. Great website! This is fabulous! So happy to have found your blog. I’ve become obsessed with pointe shoes. So many different styles and now I’ve found a pair on eBay in Germany which look to have an amazingly tapered platform which I’d love to buy but they don’t offer Paypal so I’ll just have to look at the picture. The brand is Martin but they look much narrower than any of the current offerings on the Martin website. Off to search your blog! Perhaps I’ll find more about these sleek Martins! The French translation is wrong. 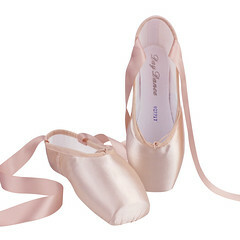 It is simply “pointe” as in English. 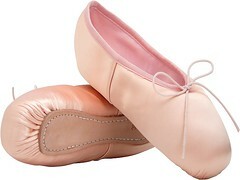 Chaussons are flats so chausson de danse would referents soft ballet shoes, certainly not points! The Dutch is definitely not “Pointe Schoenen” (a literal translation). We call them spitzen (plural) or spitz (singular). The pronounciation and the origin of the word is German. It means tip/top/extremity. Similar is the German “Fingerspitzen” fingertops or a mountaintop can also be called a Spitz in German. In Estonian: varvaskingad. Varvas is toe and kingad is shoes. So word to word translation would be toe shoes. In japanese ballet slippers are called バレエシューズ (direct translation of the characters: bareeshuuzu) –> it almost sounds like balletshoes but is spoken softer like balleshoesu and the u at the end isn’t really audible. 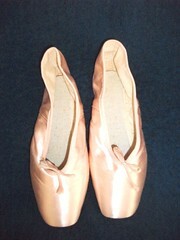 Pointe shoes are called トウシューズ (direct translation of the characters: toushuuzu) –> it sounds like toeshoes but is spoken like toshoesu. T, I am Chinese and a professional writer, and I can assure you that pointe shoes are known as” 硬鞋” (hard shoes) or “足尖鞋“ (tip-of-the-feet shoes) in the Chinese-speaking world–at least in Hong Kong, Taiwan and Mainland China. Perhaps in Singapore and Malaysia the term is different. Hoping you can help me. I live in Dubai, UAE. 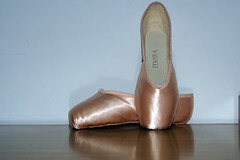 My daughter has a ballet concert coming up on 2 July and she of course, needs new pointe shoes. 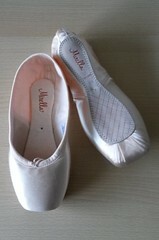 However, we’re from Australia and the pointe shoes that she needs are Energetiks Almaz. I have contacted all known Australian stores and none have the size and width she needs. I know they are Russian made. Therefore, do you have any idea of who I could/should call to get 2 pairs sent to me yesterday. From a ballet mum that was meant to be the mum of a swimmer! 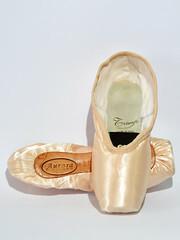 This site, https://www.desertcart.ae/products/41916375-russian-pointe-almaz-pointe-shoes-u-cut-flexible-soft-shank-size-39-width-2-vamp-v2, ships to Dubai if that would be helpful.